It wasn’t until last night, sitting around a table studying this passage with fellow disciples of Jesus, that I noticed the angel’s phrase in this verse. ‘Go tell the disciples and Peter.’ For some reason, it was important that Peter was named. After denying Jesus three times and weeping in repentance, Peter is intentionally named by the angel in the message to these women. I see at least two possibilities. The first option is to say that Peter is not included among the disciples at this point. On this view, ‘Tell the disciples and Peter’ means that Peter is not one of the disciples as a result of his denial of Jesus. Once Jesus restores him (John 21), Peter is then included. 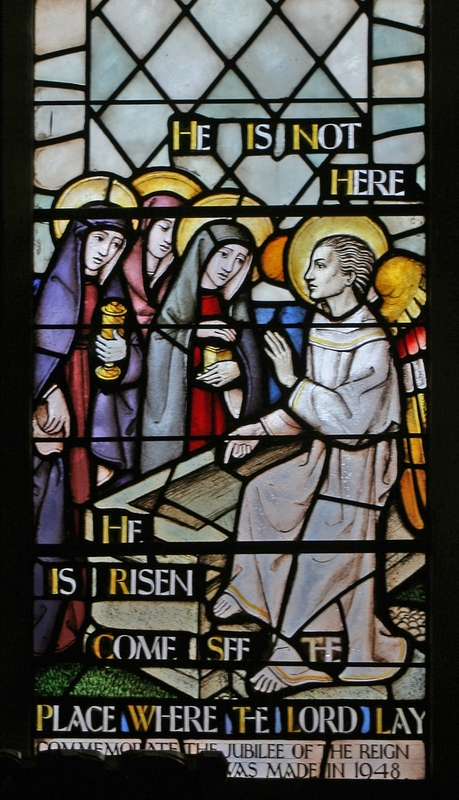 This view sees the angel as excluding Peter from the role of disciple until the time where he meets with Jesus. This view stresses obedience and repentance, which are clear biblical themes. Peter would be like the disobedient member of the Christian community who has been cut off (excommunicated) until they repent. However, I favor a second option. It is also possible that the phrase ‘tell the disciples and Peter’ is intended to include Peter, rather than exclude him. In this view, ‘and Peter’ was included to let Peter know he still belonged. Peter was singled out because of his special need for grace and God’s desire that Peter go see Jesus in Galilee. Peter knows his sin; in fact, he has broken down and wept over it. It is quite possible that Peter himself wonders whether he could be called a disciple any longer. Didn’t Jesus say “whoever disowns me before others, I will disown before my Father in heaven” (Matthew10:33)? Peter may see himself as beyond hope and no longer belonging to his Lord. This view stresses God’s preserving his saints. God does not give up on Peter, even when Peter turned and ran. Peter still belonged to Jesus. Even though I favor the second interpretation, it is likely that the truth includes a little of both options. The story of Peter’s relationship with Jesus includes repentance and restoration. The story also includes God’s persistence in loving and using Peter, even though he was a screw-up. I wonder if these same elements are not present in our own relationships with the risen Jesus. Like Peter, we have been disobedient and there is much to repent for. But like Peter, we are also pursued and loved by a God who refuses to let go, which is good news indeed.